Most contracts need to contain only two elements to be legally binding: First, the parties must agree to make the contract; Second, the parties must exchange something of value such as money, goods or services. Many contracts are valid even if they are not written. It's a good idea to put everything in writing, however, since this limits the scope for disagreement further down the line. If you have a specific contract in mind, such as a supply of services contract or a vehicle hire agreement, visit a legal documents website and select the appropriate template. 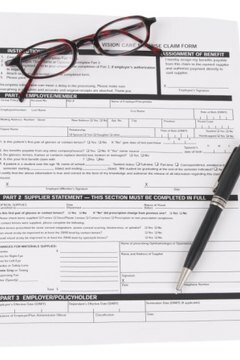 These fill-in-the-blank documents are typically drafted by lawyers and come with explanatory notes to help you. Alternatively, pull up a blank document and write your own contract from scratch. Begin by writing the names and addresses of the parties involved in the contract. You may wish to identify the parties according to their role in arrangement. For example, in sales agreements, you could describe the parties as "seller" and "buyer." Leave a space to write the date. It may seem obvious, but the most essential element of a contract is that the parties must agree to make the contract. Lawyers refer to this as "offer and acceptance," or the act of one person making an offer and the other person accepting that offer. Reflect this in your contract by writing the words, "The parties agree as follows" before the main clauses of your contract. This shows that your contract is intended to be a final binding contract and not merely a preliminary offer or discussion. A contract is not valid unless the parties exchange something of value, known as consideration. Consideration can be money, goods, services or simply the promise to do something in the future, such as deliver 10,000 widgets by the end of the month. Most contracts easily show consideration by an exchange of promises. For example, one party agrees to pay money if the other person promises to install a new bathroom in the payer's home. If the agreement is one-sided, for instance, if you were to install the bathroom as a gift, then it's unlikely that the contract will be enforceable in court. Deal with consideration in your contract by expanding your agreement clause to include some standard consideration wording. For example, you might write, "In consideration of the mutual covenants set out in this contract, the parties agree as follows." The main section of your contract should define the obligations of all parties involved. For example, perhaps the first party is providing a list of services by a certain dates, and in return the second party is paying various sums of money. The more specific you are on these sections, the more likely it is that everyone will understand their obligations. Use simple, everyday English when writing your contract. Trying to write your contract in legalese isn't helpful and may not give you protection if a dispute arises. The last page of your contract is the signing page. It generally includes a space for signing each party's name, with her name printed beneath. Make sure that the signature blocks precisely match the names of the parties at the beginning of your contract. If either party is a company, you'll need to have the contract signed by someone who has legal authority to bind the company. Find this information in the corporate documents. A contract becomes effective on the day the last party signs it. Make sure this date is included in your signature block. Thompson, Jayne. "How to Write a Simple Binding Contract." , https://legalbeagle.com/5225496-write-simple-binding-contract.html. 01 March 2019.